Q: Has The MEDIA ” Tainted ” The Reputation Of The “Professional” Non-Surgical Hair-Replacement Industry ? Unfortunately , Perception Is Reality To Many Individuals Who View This ” Distorted Reality ” & Falsely Perceive ALL Non-Surgical Hair-Replacement As A Bad Joke Or Their Grand Daddy’s Obvious Looking Toupee. Very Sad. Let Me Give You A Personal Example. Several Years Ago A Former Girlfriend & I Were Having Sunday Brunch At A Lakeside Restaurant With Our Out Of Town Visitors. The Woman ( My Girlfriend’s Former High School Friend ) Was Married To This Guy, An Attorney And They Were Somehow Both Under The Impression That I Was In The Beauty Industry But Not Specifically In The Non-Surgical Hair-Replacement Industry. The Attorney & I Were Chatting And Then He Tells Me ” I Was Playing RacketBall With A Balding Associate And I Told Him That If He Beat Me I Would Buy Him A Hairpiece. There Aren’t Any Hairpieces That I Can’t Detect ! ” Here I Am… Sitting Six Inches From Him… My Hair Combed Straight-Up Exposing ALL Of My Frontal Hairline … And He Did NOT Know That I Was A Hair-Replacement Client Myself ! The Message That I Want To Deliver To ALL Individuals That Are Experiencing Hairloss Is This : There Are Basically “TWO” Types Of Non-Surgical Hair-Replacement Buyers : 1) The Individual Who Wants To Cover-Up Their Baldness With The Least Maintained & Expensive Non-Surgical Hair-Replacement Option As Their Main Priority ; (2) The Individual That Is Seeking The Most Natural Looking Non-Surgical Hair-Replacement Technology At A Fair Value Price And Is Willing To Maintain It Properly And Replace It When Necessary. Which Individual Do You Think Is Going To Look Natural ? Easy Guess! 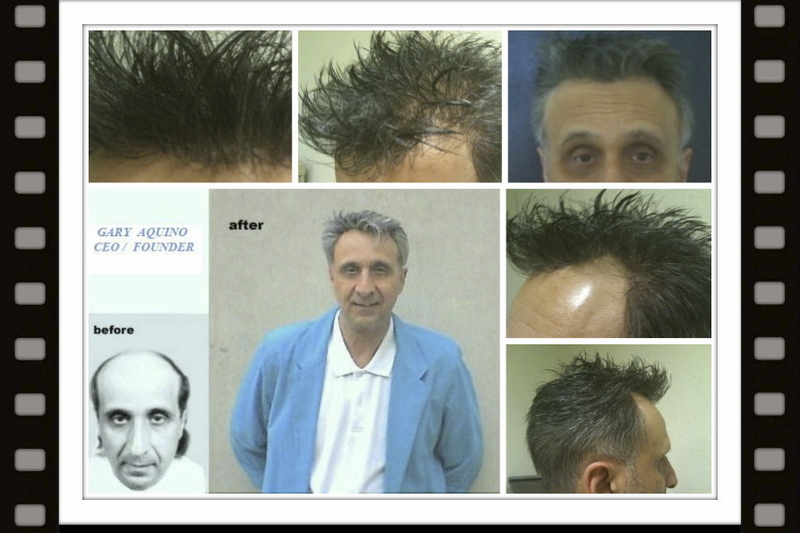 In The Last “20” Years Non-Surgical Hair-Replacement Has Evolved To Truly Non-Detectable Status With Hair-Technologies And Grafting Solutions Now Available To The Every Day Client That Were Once Only Available To Celebrities. Don’t Fall For The Ignorance & Rudeness Of The Media.